Mold is not a fun thing to find in your home or office. If you’ve ever dealt with mold growth before, you know that getting rid of it is definitely not the easiest thing in the world. You probably tried a lot of different do-it-yourself methods, working tirelessly and endlessly to get rid of the nasty and inconvenient growths on your walls. Maybe, the mold was close to the top of the wall, near the ceiling. Or, perhaps, it was growing near the bottom corner. In either case, getting rid of the mold was quite a task. 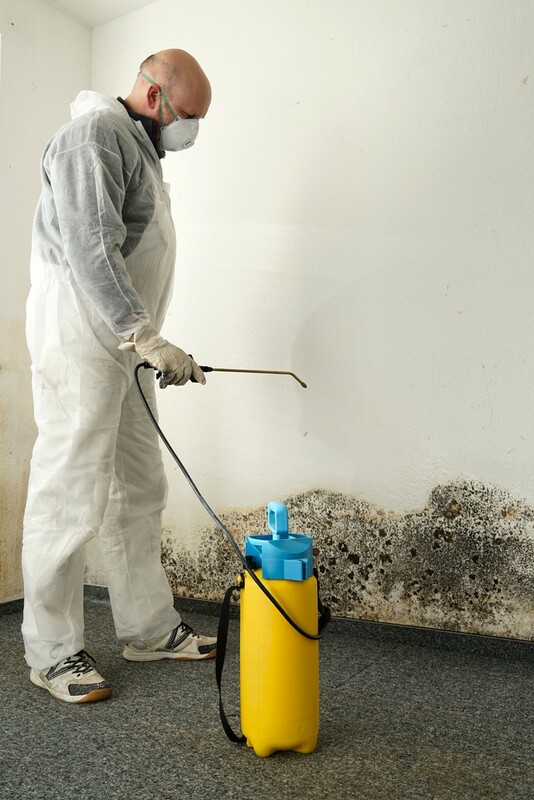 If you have not had to deal with it before, then you are probably wondering what to do about the mold growing on walls in your house or business. Where did it come from? How did it get there? What should I do about it? How do I get it out of here? You might be asking those questions, trying to figure out exactly why and how the mold came to appear on the walls of your office or house. After all, you didn’t really notice any signs or indications that there was a problem until, well, the problem appeared. You are probably aware that mold doesn’t just simply show up. The conditions have to be just right in order for mold to grow and spread in your home. But, of course, now you are wondering how your house became a good place for mold to flourish. Perhaps you are thinking, “I keep my house so clean! Why would mold be able to grow there?” Many people equate mold growth to dirt. A lot of individuals feel that mold in the house or office is a sign of uncleanness. But, this actually isn’t the case. And we’ll talk more about that in just a minute. How Did Mold Get Into My Business or Home? Alright, let’s take a stab at the first couple of questions. Many times, people are unsure about whether or not there is really mold growing in their homes. 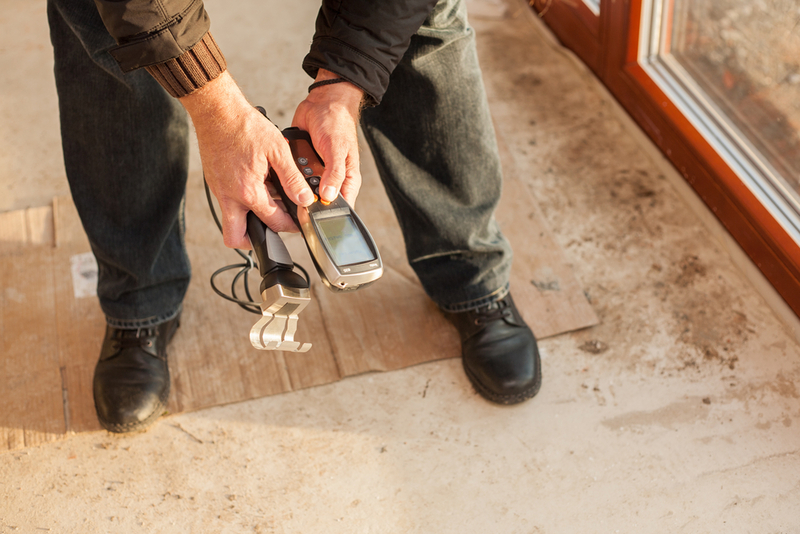 Some choose to first test for mold before they invest in a remediation service. But, honestly, if you are already seeing even the smallest amount of growth, it’s pretty safe to say that you can skip that step. If there is already a sign of mold in your home or workspace, there’s probably more where that came from and it’s not necessary to test for mold. Your best bet is to get a professional to take a look at it as soon as possible. One of the main things you might be wondering about right now is how in the world that stuff got on your walls! How did you end up having mold grow on walls? Well, here’s the first thing you should know: mold can grow anywhere. Yeah, we mean anywhere. As long as the conditions are right, that nasty fungus can develop. So, yes, that includes the walls. But, of course, your next thought may be to ask how the walls provided a comfortable spot for mold to rest. We’ve got an answer for that, too! You see, mold likes moisture and humidity. It can grow in cold climates, too. But, the main reasons you might see mold growing on walls is the humidity and wetness. Usually, the moisture is the result of a leak of some sort. Perhaps, there is a leak from the ceiling. Maybe, a toilet or sink is leaking. Whatever the source may be, the moisture can cause mold to form. Condensation is also a contributor to the growth of mold on your walls. This condensation forms as the result of water vapor in the air meeting the coolness of the walls. When this happens, the vapor turns from a gas into a liquid. And voila! You’ve got a perfect place for mold to find rest. These mold types tend to be attracted to drywall, wallpaper, and painted walls. It is not uncommon to find these molds growing behind wallpaper. So, as we said before, if there are visible signs of mold, there is most likely more mold growing somewhere out of your sight. There could be more mold behind the walls and underneath the surface of what you see. This is why it is so important to work as quickly as possible to stop mold dead in its tracks. You don’t want to just paint over the mold or kill the surface growth. A safe mold remediation process can help to get to the heart of the matter, ending the problem with efficiency and thoroughness. Okay, so we’ve talked about why and how you have mold growing on walls in your home or business. But, we all know the real reason you are here. 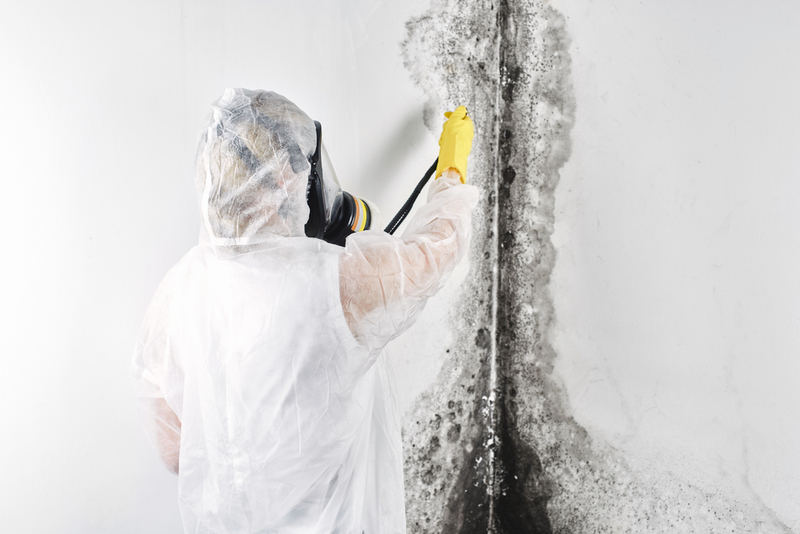 Of course, information about why and how the mold growths may have shown up in your living or working space is definitely helpful and interesting. But, the truth of the matter is that you are more interested in how to get rid of mold. After all, you’ve got a strange, fungal substance on your walls and it does not quite match the furniture. Not only is it unsightly, but it is also unhealthy. Mold exposure can cause quite a few health concerns. You and your employees can become very ill as a result of being in the office with the mold growing in your office building. And, if the mold is actually in your home, your family could suffer from the negative effects of mold exposure. But, now we’ve got some really helpful information for you. We’re gonna tell you how to get rid of mold, your unwanted fungal guests! But, before we do that, we want to mention that it’s definitely important to know how and why there is mold growing on walls in your building. If you know what caused it to happen, you can work to avoid this from happening again. Of course, there are some things that are beyond your control. And, sometimes, mold grows despite your hard work to keep it away. But, the more info you have, the better your chances are of preventing mold from intruding in the future. Now that we have mentioned that, let’s talk about what you’ve probably been waiting to find out. You want to know what you can do to say “bye-bye” to mold. So, let’s find out now! In all honesty, we could give you a couple of ideas for killing surface mold. But, that wouldn’t really help you to get rid of the problem. As we mentioned earlier, it’s important to do more than simply erase the visible signs of mold growth. Mold can make people very sick and lead to overall damage in your home or office. So, killing the surface mold will not really help to solve the problem. Although it will definitely make your walls look better, the effects of the mold spores will still be present. And, more than likely, the mold growth will reappear on the surface after a while. Then, you’ll be right back where you started! If you have mold growing on walls, floors, the ceiling, or anywhere else, it is definitely best to call in the professionals. By doing so, you can ensure that the mold is really being removed. At A Plus Mold Remediation Inc., we work thoroughly to make sure your mold problems are taken care of. We want to make sure that you and those around you are safe from the effects of mold growth. So, if you’re looking for a safe mold remediation service, we can help! Don’t deal with those moldy spots on your walls any longer. Contact A Plus Mold Remediation Inc. today! **Originally posted on June 6, 2018. Updated on March 22, 2019. 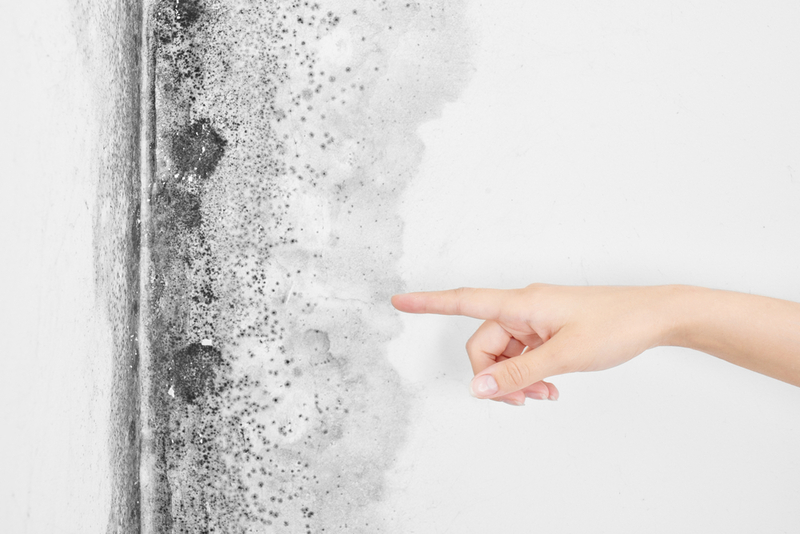 ← Dealing With the Effects of Mold Exposure: Cold vs. Mold?